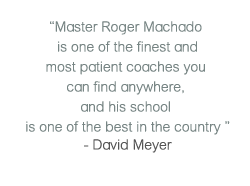 Roger Machado Jiu-Jitsu Pasadena provides a clean, fun and safe environment for students. The school features 1000/sf feet of mat space (our mats are sanitized after every class), changing rooms, bathroom, and online pro-shop to fulfill any of our student’s requirements. Our mats our of the highest quality and meet standard safety requirements to promote safety and wellness.